San Valentino Pasticceria Focacceria Panificio has become our go to Italian cakery and bakery of choice. Yes folks, we do sometimes eat something other than Asian food. Haberfield has been just holding in there the last few years, even with the building of the new Westconnex adding to its woes. Along Ramsay Street there seems to be a number of places closed but a little of the buzzy oomph of the place is slowly coming back. We've taken to waddling around this neck of the woods on our weekend walks simply because of the great pit stop discovery of San Valentino. They do it all here - cannoli and biscuits, sweet cakes large and small, fresh baked focaccia and bread and lunch time dishes with a good Italian espresso on offer too. 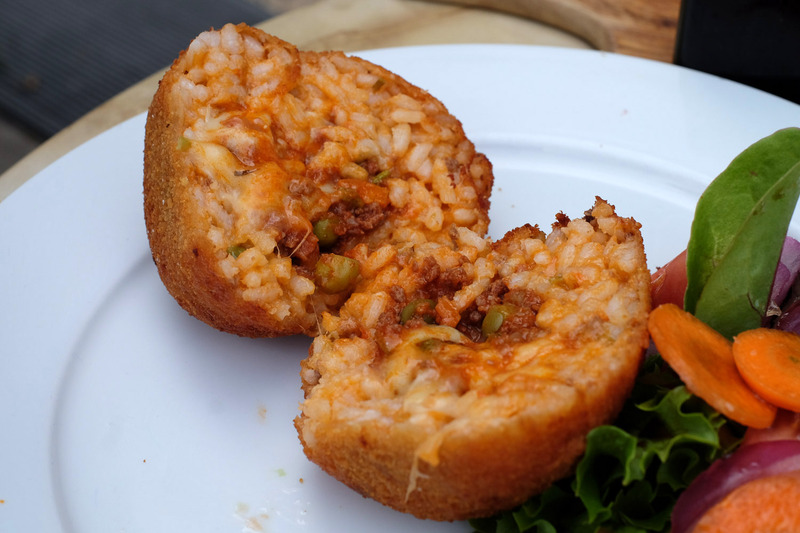 We tried out the meat arancini and salad, a deep fried rice ball filled with a meat and pea ragu. At first sight it looks like an undressed Mr Potatohead. Inside the joy of this Sicilian wonder is revealed, the filling soft and slightly cheesy and the ragu just saucy enough. 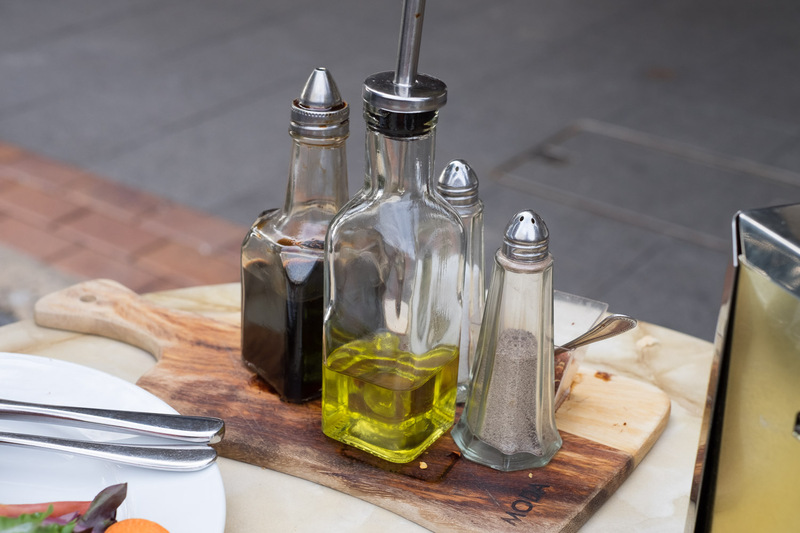 Oil and balsamic vinegar are on the table to dress your salad how you like. 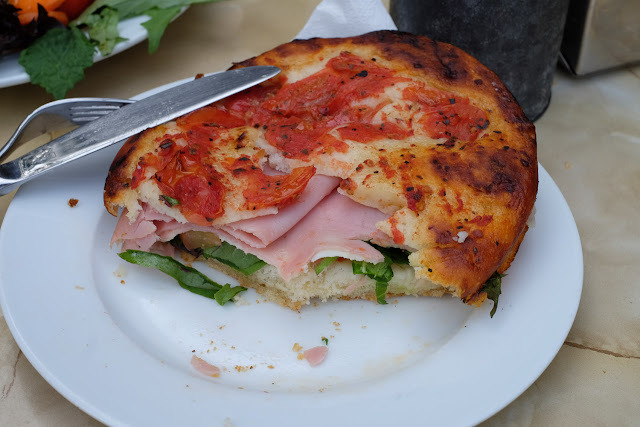 From the bakery, this baked tomato topped bread is filled with ham, cheese and salad greens to make a combo sandwich and pizza with a cooked and fresh balance of flavours. 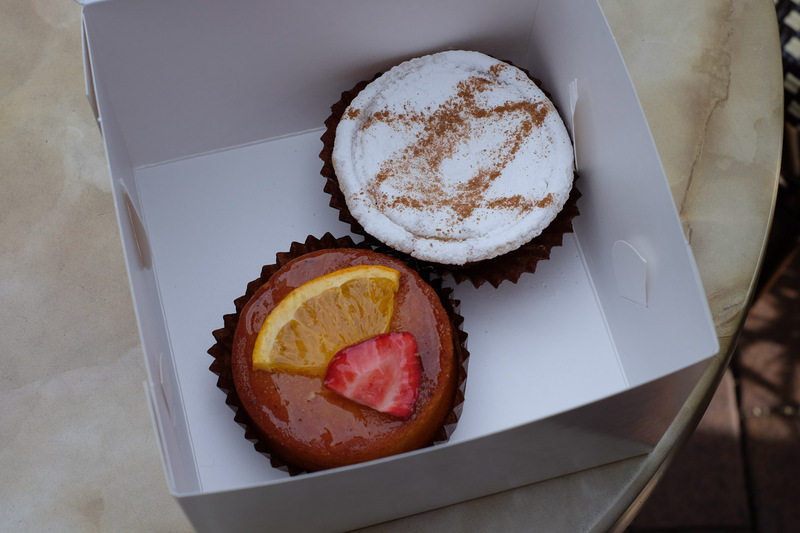 We pick up a few cakes to eat later along our walk, a small ricotta cheesecake that isn't too sweet but leaves a pleasant trail of icing sugar down our chins and clothes and an orange almond cake, slightly orangey-bitter. 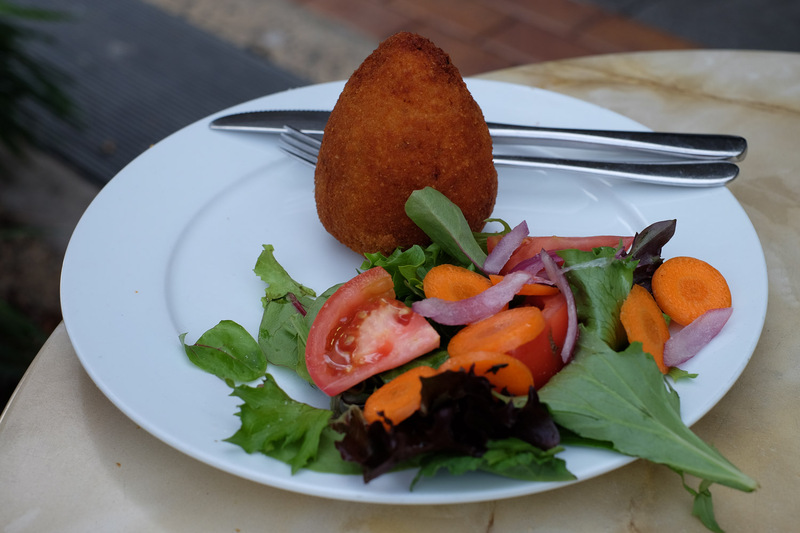 Workplace catering via San Valentino has also become a regular thing thanks to Haberfield locals. This tray of cannoli, meringues and fruit tarts almost got eaten beforehand. There is a great range of smaller cakes, even the cannoli are done in two bite pieces. Same goes for biscuits, these almond based numbers or choc topped treats were sensational. Look out for these embedded plates in the pavement around Haberfield celebrating the origins and history of the area. 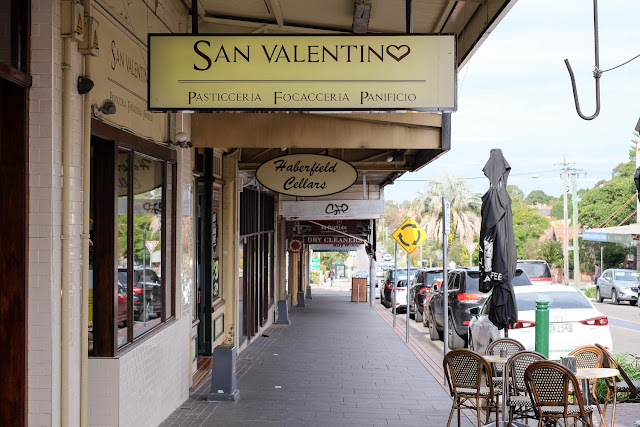 San Valentino is at 119 Ramsay Street, Haberfield. Open Mon to Sun 6am to 6pm. Ph: 9799 9799. Haberfield is such a little gem! I've just rediscovered the Paesanella cheese shop...holy moly! It's my happy place! Glad to hear it's experiencing a revival of sorts.